Harlem in Havana Poster #8. Leon Claxton’s Harlem in Havana was one of the greatest midway attractions in North American carnival history. 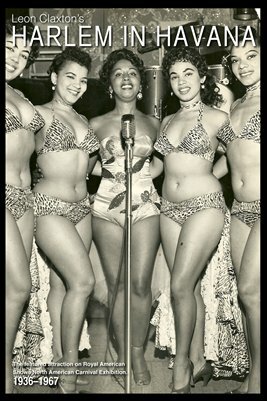 The feature attraction on Royal American Shows from 1936.1967, Harlem in Havana helped spread African American and Cuban music and dance across the U.S. and Western Canada. Visit harleminhavana.com or email info@harleminhavana.com.